Locality: United States, Colorado, Moffat, Dinosaur National Monument, ca 1/3 mi NW of The Steps, 0.5 mi NW of Deer-Lodge Campground, S of Yampa River. 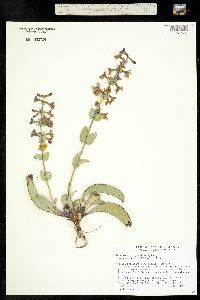 Habitat: Widespread. On sandy soil of slickrock, NE exposure, with Pinus, Cercocarpus, Juniperus, Petrophytum, Fendlerella & Heterotheca. Weber Formation.